Sri Lanka’s police have given scant regard to a basic right of a Tamil journalist in Jaffna and have issued summons to him in Sinhala, a language he is not proficient in. In a summon dated July 12, 2017, issued at 9.39 am, Jaffna based journalist has been summoned to be present at the Organized Crime Division Colombo over a media event he covered of Northern Provincial Council Member M.K. Sivajilingam. The summon has been issued under the seal of the OIC of the Achchuveli police. 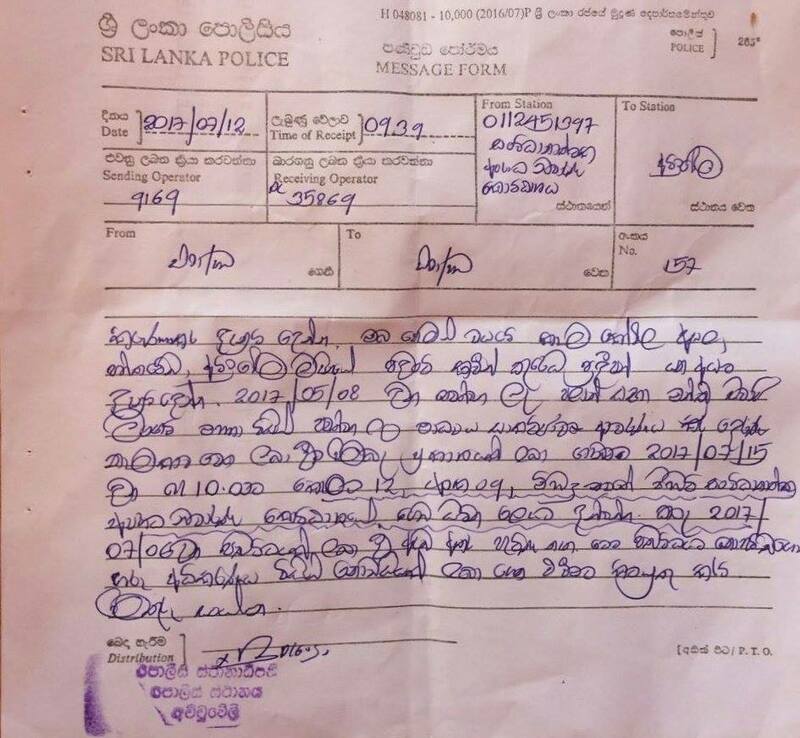 An observer pointed out that it was highly unethical for the police to issue such summons in the Sinhala language to a person who is not proficient in the language. He noted that as the Tamil language is considered an official language in the country, this summon should have been issued to the journalist in Tamil, so he can clearly understand what it said.